Without fertilizer, the world’s food production would be cut by 48%. Fertilizer is the fuel that powers modern agriculture. Yet, we are learning that the extended use of fertilizer causes problems. Ammonia production consumes 3% of the world’s energy, and invasive mining has nearly stripped the world of it’s phosphate reserves. Once produced, a small portion of chemical fertilizer decomposes into nitrous oxide and becomes a greenhouse gas 300 times more potent than CO2. It’s responsible for about 5% of global warming. In addition, rains wash excess fertilizer into streams and rivers, causing algal blooms that suffocate fish and aquatic life. Worldwide fertilizer-linked pollution is responsible for more than 500 dead zones: places so toxic that nothing lives. One of the largest is where the Mississippi River empties into the Gulf of Mexico. It’s the size of New Jersey. The team at Pivot Bio has built a renewable, clean alternative to chemical fertilizer. It relies on the crop’s microbiome to convert nitrogen gas from the atmosphere into the nutrients each plant needs at just the right time. It’s nature’s way of nurturing crops. Legumes self-fertilize this way every day. However, for crops like corn, wheat and rice, the microbes with this phenomenal capability have been in hibernation since chemical fertilizer came into use 100 years ago. 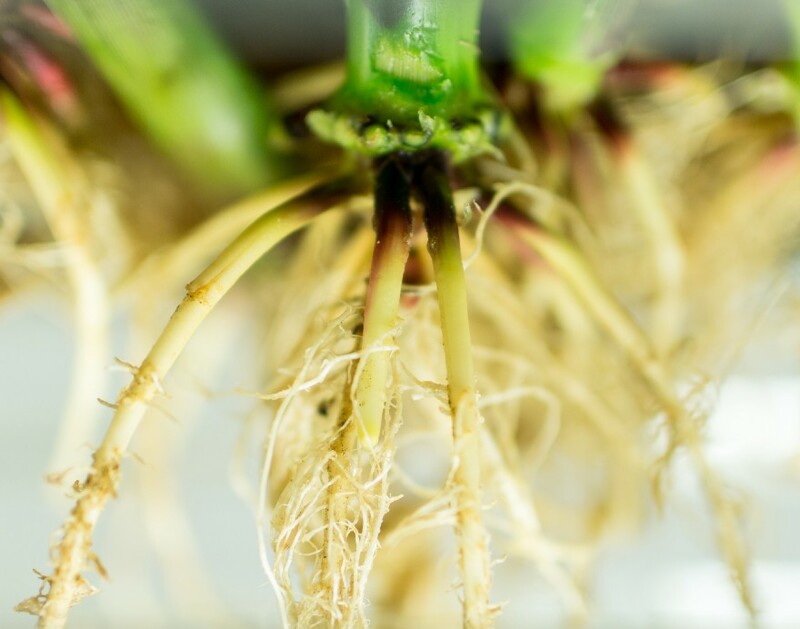 Pivot Bio has developed microbes that adhere to corn roots and continuously produce nitrogen for the crop. In an age when more and more people live in cities, it may be surprising to learn that agriculture production is inherently risky. Although farmers share a love of the land and a desire to grow abundant crops, many factors like weather, markets, currency or international trade are outside their control. As an undergraduate student at the University of Iowa, I became keenly aware of the challenges facing rural Iowa and the agriculture community. I was surprised to learn that the expense of fertilizer is bigger than any expected profit or loss for a farm. Re-inventing fertilizer seemed the perfect way to reduce financial risk for the farmer, improve yield stability at each harvest, and reduce the global impact of fertilizer pollution. This insight led me to Christopher Voigt’s lab at the University of California. There, I met my co-founder Alvin Tamsir, and we studied how to bring the crop microbiome out of hibernation and re-enable its ability to produce nitrogen. We viewed the DNA of microbes like computer programs that encode instructions on how to sense and respond to the environment. We developed a powerful technology called computationally-guided microbe remodeling, and we founded Pivot Bio to create products, through the use of our technology, that could transform agriculture. A Pivot Bio scientist examines an experiment testing nitrogen production by Pivot Bio microbes. Pivot Bio is on a mission to replace all nitrogen fertilizer with microbes that adhere to the crop’s root system and spoon-feed the crop each day. These microbes mature as the crop grows, matching the supply of nitrogen to the need of each plant. Unlike chemical fertilizer mixed into the soil, this nitrogen is transferred directly to the plant. These nutrients aren’t degraded which means virtually no pollution from volatilization and leaching. A significant benefit to farmers is that crop yields become more productive and predictable. This means we have the potential to eliminate the conventional practice of applying nitrogen to soil. Over the past six years, the team at Pivot Bio has relentlessly worked to make the seemingly impossible a reality. We’re breaking new ground to make the agriculture of tomorrow a reality today. And, we aren’t stopping at just nitrogen. We have also developed microbes that solubilize phosphorus and potassium for staple crops. 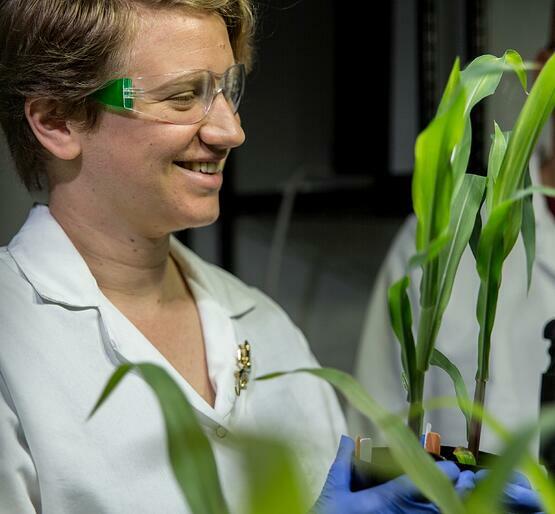 This breakthrough started with revolutionary experiments in a greenhouse, and has produced products operating at-scale in cornfields across the United States. I look forward to sharing more about Pivot Bio’s vision and our products in the coming months.